So I recently saw this product in one of my favorite stores , Sur La Table. If you havent been I highly recommend you go, it has everything you could ever want for a kitchen and more, In shopping around all of there knick knack I came upon the Lekue Citrus Spray. For some reason this product leaped off the shelf at me, I thought to my self that this is an innovative product that eliminates its competition by negating a need for them. It is utterly brilliant. Instead of wasting money on manufactured lemon juice this product it a one time buy that allows you to use lemons and limes naturally for their juices. The packaging itself is very simplistic and utilizes pictures to show how the product would work. 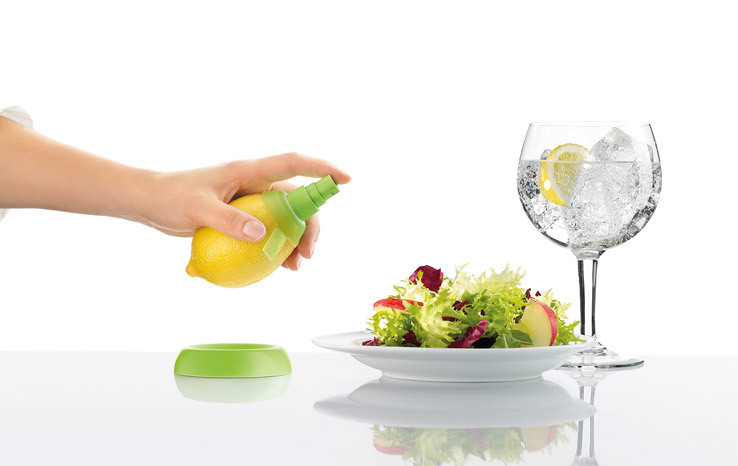 They have even gone as far as to solve the issue of what to do when you are done spraying by developing a stand for the lemon or lime . Though I can not tell you personally if this product works I sincerely hope so, because it tops the charts as a simplistic product that more than serves its purpose. It is safe to say next time I go i will be purchasing one of these along with many other kitchen items I did even know I needed. Lately our Design Entrepreneurship class has been focusing on branding. We have been discussing what is a brand and what makes it good. While looking around for inspiration I stumbled upon Leis Wooden Kitchen Utensils. 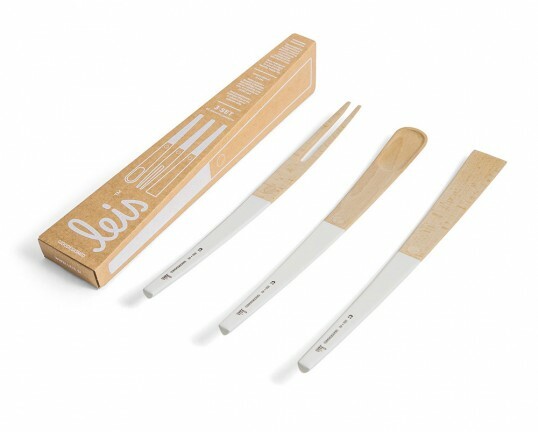 These packaged utensils are not only well crafted modern fork and spoon, but are simplistic and highly unique. The product serves both funtion and aesthetic purpose, not to mention ease of storage with a magnetic piece to help hang the utensils. However the most interesting part of this product is its brand. This well developed branding is apparent in the sleek and simplistic form of both the product and its packaging. 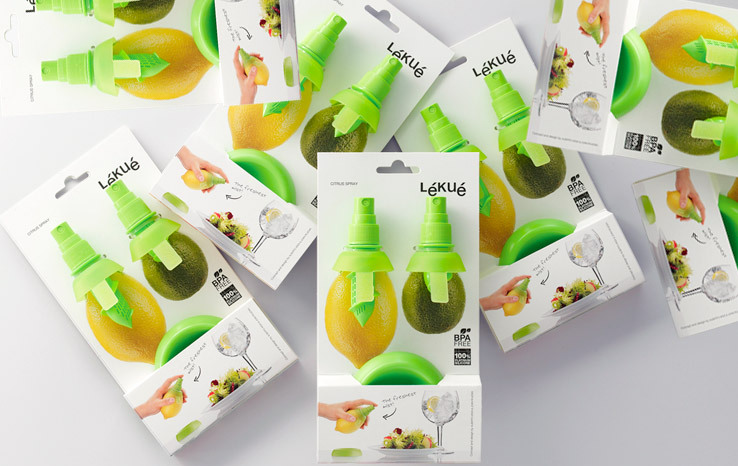 The package design pulls from the actual utensils using a monochromatic scheme and taking the shape of the products themselves. This product focuses on being a well designed sustainable solution to kitchenware and I believe they executed it perfectly. It is exactly the feel you get when viewing the product both in and out of its packaging. i hope in moving forward with my own branding I can pull from this as an example and further establish a well thought out brand.